This is my newest pair of heels. 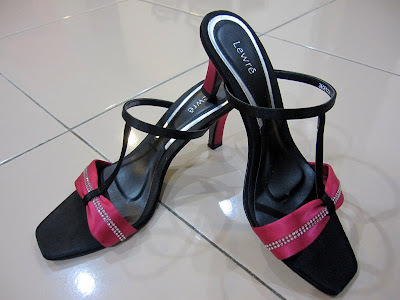 And my first pair of Lewré heels. Bought at a fraction of the original price. 70% discount to be exact. hahha. i love shoes. and it's been a long time since i last bought a pair that i love. the pink looks fresh. this would look best with skirts above knee. so true....lovely with skirts, short ones. i love it coz i love fuchsia and it looks so feminine.